Cantemus has finished for the summer. 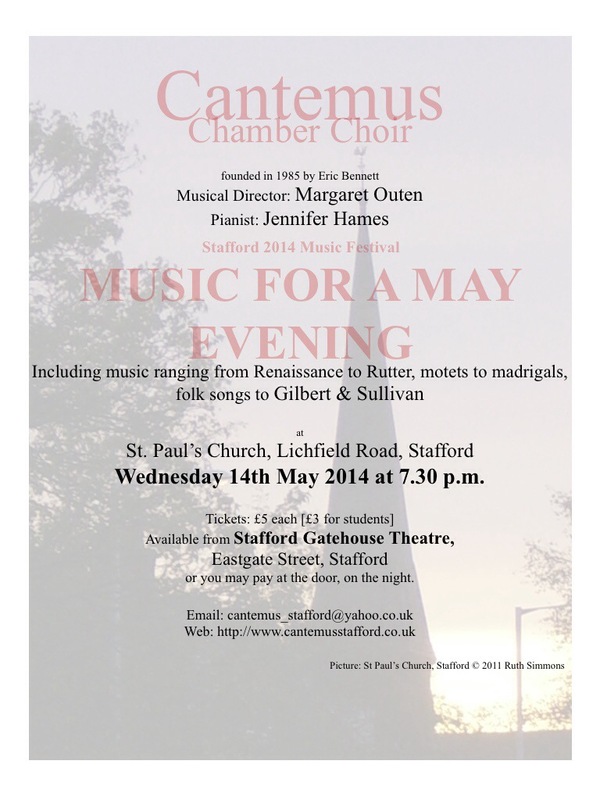 Cantemus has now finished rehearsing for the summer. We are back on 3rd September. We hope everyone has a great summer and see you in September. Every Christmas Eve Cantemus sing outside St Chads Church in Stafford to raise money for Katherine House Hospice. In 2013 we raised £291.98. Thank you to all the shoppers who donated money as we sang in the cold!! Welcome back to everyone after our Christmas break. As usual our Christmas program went down well and the concert at St Mary’s was a hit with the audience. 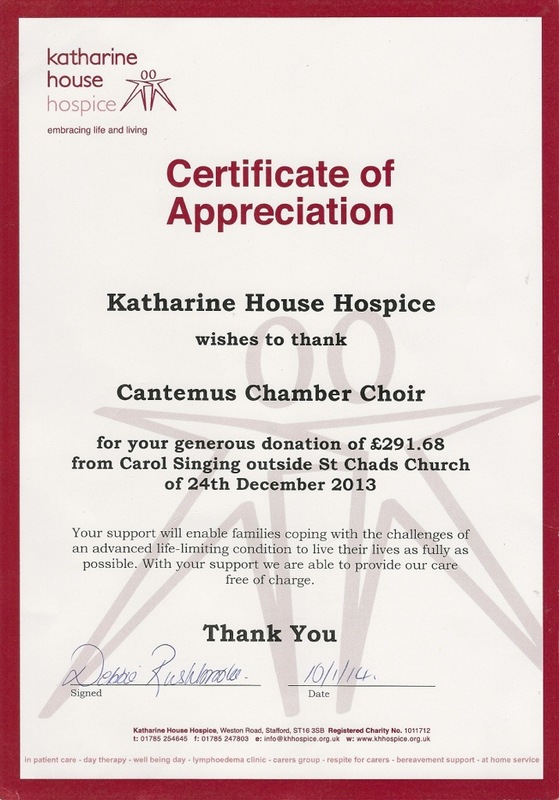 Every year we sing outside St Chads Church in Stafford on Christmas Eve to raise money for Katherine House Hospice. Welcome to our blog and this our first blog post. 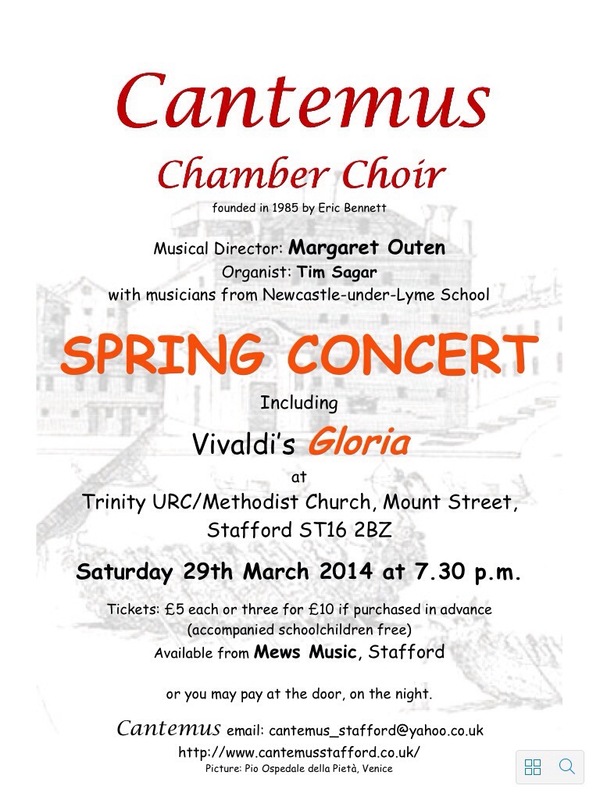 We are Cantemus Chamber Choir and this is where we will share news of our performances and events. 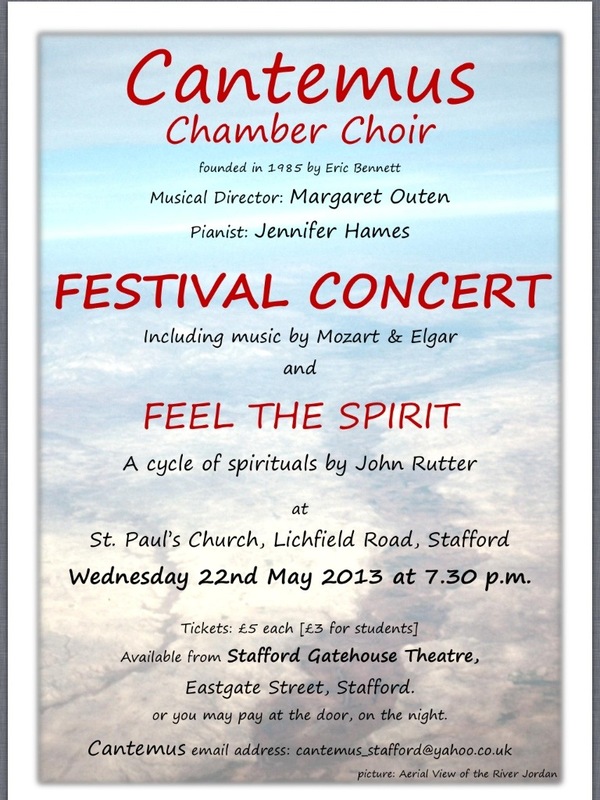 If you would like any more information please contact cantemus_stafford@yahoo.co.uk.